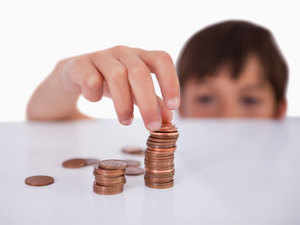 "Parents' financial habits influence children up to a certain age, say, 12-14 years, and beyond that it is the outside world that exerts a greater influence," says Jayant Pai, Head, Marketing, PPFAS Asset Management. "In fact, the rebellious nature of teenagers may induce them to undertake diametrically opposite actions," he adds. However, you will still need to communicate and discuss issues that are going to have a bearing on the child's finances. Here are the main topics you need to talk about. "Make sure you don't jeopardise your retirement goal to fund the kid's education," says Priya Sunder, Director, PeakAlpha Investment Services. Let him find out if his job will help repay a loan, whether he will need to take up a job while studying, or will he be able to earn a full or partial scholarship to fund his own education. 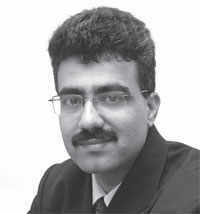 In Pic: Jayant Pai, Head Marketing, PPFAS Asset Management"Parents' financial habits influence children up to a certain age, say, 12-14 years. Beyond this age, it is the outside world that exerts a greater influence." "The dangers of peer pressure and herd mentality while spending, or even investing in fads like bitcoin, need to be conveyed to the child,"says Pai. It's also crucial to abstain from lending to friends. "If your friend does not repay you, you will lose both the money and the friendship," says Sunder. Split the cost, be it for eating or sharing a cab, never give your cards to friends, and don't share any passwords either.